Hydraulic Equipment Supermarkets (HES) understand hydraulic components and we are more than happy to share our hydraulic knowledge with you. We have over 50 years of experience of the fluid power industry so we really know our pumps from our motors! 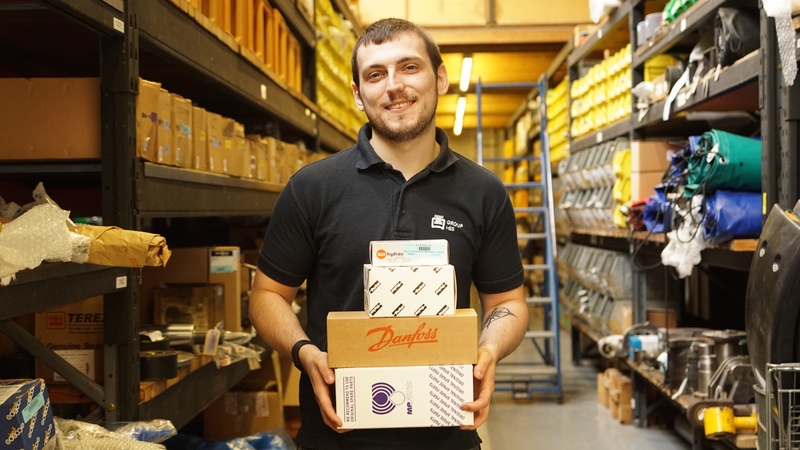 It’s not just our customers who trust us, we have been approved and trusted by several of the leading hydraulic component manufacturers, including being a Premier Danfoss Power Solutions distributor (previously Sauer Danfoss) as well as official distributors for Parker, Duplomatic, Hy-Pro, Webtec, Hallite and many more. Our sister division, Branch Hydraulic Systems, are also Official Distributors for Bosch Rexroth and MP Filtri so we can source a HUGE range of hydraulic products. We work closely with our key hydraulic component suppliers to bring value to you, the customer. We help you find the right hydraulic part, the right specification and we will ship it to you anyway that works for you. We have an exceptionally advanced technical team, who are able to help you with all your hydraulic questions and needs, whether it is a motor, a valve, a filter or more. Since 1965, Hydraulic Equipment Supermarkets have continued to grow and evolve and are able to provide regional support and supply from the network of branches in Birmingham, Durham, Leeds and Gloucester. We also supply hydraulic components for agricultural and construction off-highway vehicles through our other sister division, HES Tractec. There has been a huge investment in our infrastructure and systems to have the most up to date technology that means that you the customer benefit from a more streamlined process – you receive the best hydraulic products, as quick and error-free as possible. Buy Online for next working day delivery - No extra delivery charges!